Now available with Amber Sequential Turn Signals. 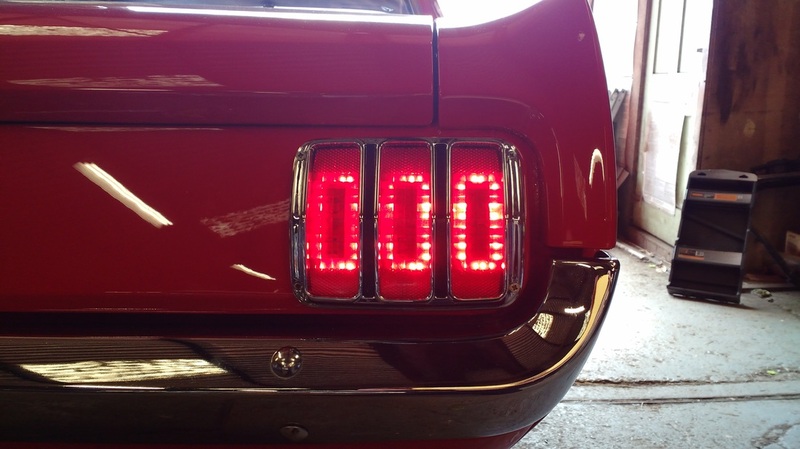 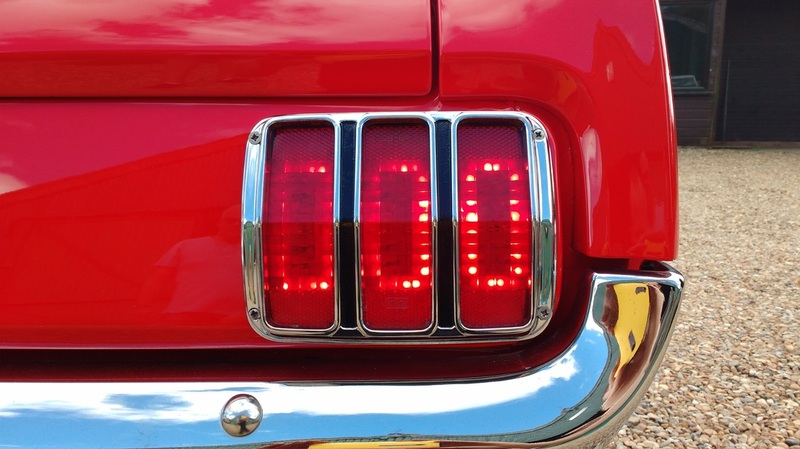 Enhance the tail lights of your 1964-66 Ford Mustang with these easy to install LED tail light kits. 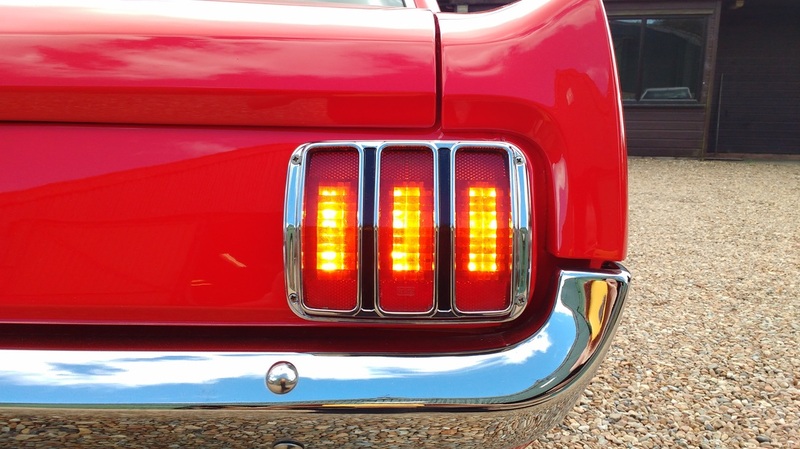 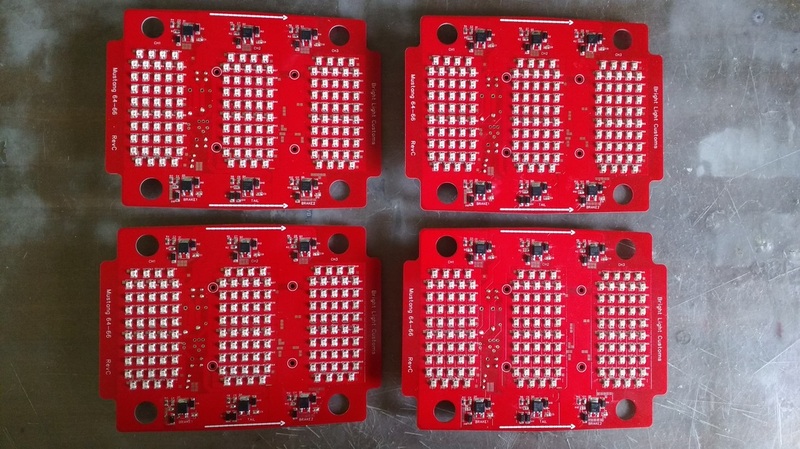 These are the only kits on the market that are compatible with the stock red lenses and contain amber turn signals for the UK/Euro. 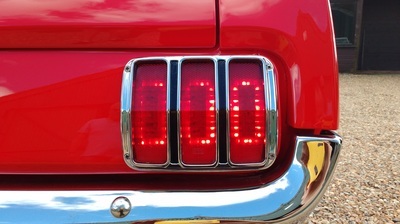 The amber turn signals shine amber through the original red lens. Now available with optional sequential turn signals. 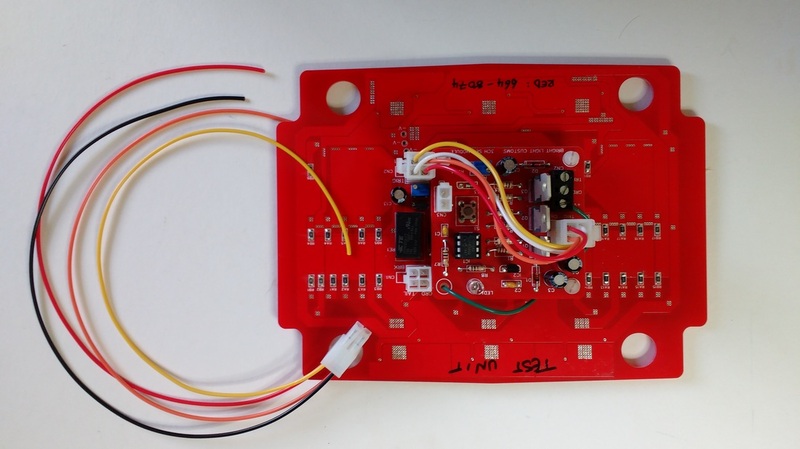 Our kits come preprogrammed with a range of flash sequences which can be selected via a simple push button. 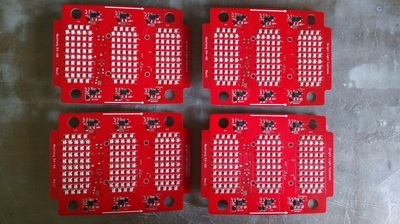 Each light panel includes 72 Red and 72 Amber High Brightness OSRAM LEDs. 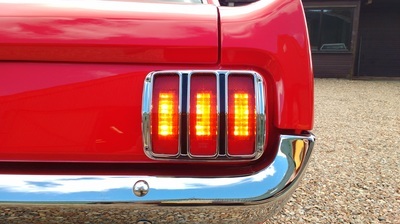 Designed and manufactured in the UK by Bright Light Customs.